of good dental health and beautiful, happy smiles! 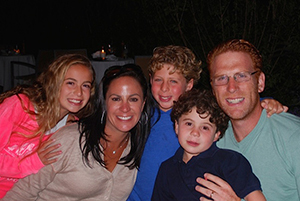 Dr. Jamie Diament-Golub received her Bachelor's degree from Brandeis University. She completed her Doctorate in Medical Dentistry at Tufts University School of Dental Medicine in Boston, where she was awarded the Alumni Association Pediatric Dental Award for superior clinical excellence. She received her Pediatric Dental specialty certificate with an additional 3 years of post-doctoral work at Rutgers School of Dental Medicine. 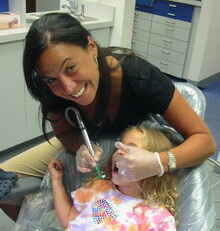 Dr. Jamie has been working with children and dental health since 1980. 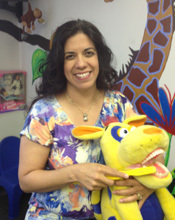 She has been in private practice since 1987 and has been actively involved in Children's Dental Public Health. She is an active member of the American Dental Association and The American Academy of Pediatric Dentistry. 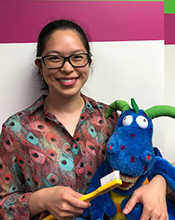 Dr. Jamie is an Assistant Clinical Professor at Columbia University School of Dental Medicine Pediatric Dental Department where she supervises and instructs third and fourth year dental students. In addition, Dr. Jamie is a member of the advisory board to the Dean of Tufts University School of Dental Medicine, as well as a Clinical Instructor of Public Health and Community Service. In 2000, she was awarded the "Health Care Professional of the Year" , by COSAC, the Center for Outreach and Services for the Autism Community in New Jersey. She is dedicated to treating children with sensory issues, ranging from children with mild hypersensitivities to children with severe autism. Dr. Jamie and her staff are well educated on "ABA", applied behavioral analysis, for dental procedures and strongly believe in the rights of all children to have a pleasant dental experience. Dr. Jamie is married to Dr. Jon Golub, our Orthodontist. They have three sons. 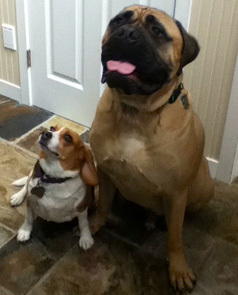 Her interests include, hiking, her bullmastiff, Wilson, and her beagle , Winnie. 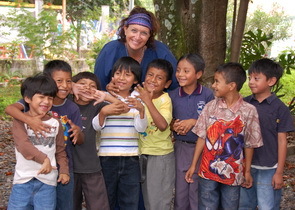 Dr. Jamie's greatest passion is bringing pediatric dental health to children of impoverished third world countries. Countries where she volunteers annually include, Cambodia, Guatemala, Jamaica, Mongolia and Capo Verde. She is a Board member with Kids International Dental Services and is an active member of Health Care International. In 2014. Dr. Jamie was awarded the "International Volunteer Service Award" by the American Dental Association, recognizing her volunteer efforts to improve the oral health of individuals internationally. Please visit our "what sets us apart" page to see the latest country Dr. Jamie has visited to provide Humanitarian Pediatric Dental Health Care. is a graduate of Tufts University in Medford, MA where she received her Bachelor's degree. She went on to graduate from Columbia University College of Dental Medicine in New York where she earned her Doctor of Dental Surgery degree. She then completed an additional two year residency in Pediatric Dentistry at Albert Einstein College of Medicine/Montefiore Medical Center in New York. A Diplomat of the American Board of Pediatric Dentistry, and an active member of the American Academy of Pediatric Dentistry, she began working with Dr. Jamie in 2003. Dr. Liz loves practicing in northern New Jersey. Dr. Liz is married to Dr. Rob Simon, a urologist in Englewood. They have 3 children, Danielle, Luke, and Charlie. In addition, Dr. Liz is a United States Figure Skating Association Gold Medalist and she still loves to get out on the ice. Aside from teaching her kids good dental habits, she has so much fun teaching her children how to skate, and of course, they love it! Dr. Liz's other interests include skiing, running, travelling, and spending time with her family and friends. Dr. Clarissa Marcovich graduated from St. John's University where she received her Bachelor's of Science. 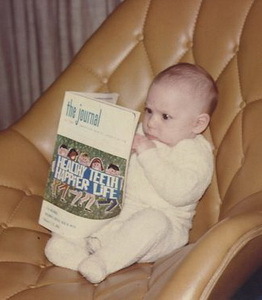 She went on to Columbia University College of Dental Medicine, completing her Doctor of Dental Surgery degree and earning the Departmental Excellence award in Pediatric Dentistry. She continued two years of specialty training at Columbia Presbyterian Medical Center in Pediatric Dentistry. She stayed on at Columbia University College of Dental Medicine as a faculty member and served as the Director of the Undergraduate Pediatric Dentistry Department. Since 2000, she has maintained her own private practice in midtown Manhattan and is excited to now join our team on this side of the bridge. 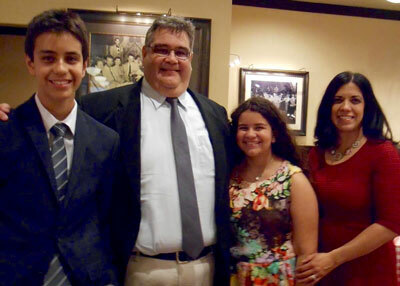 Dr. Marcovich is married to Dr. Javier Urquiola, a Prosthodontist practicing in Englewood, and they have two children. When not practicing dentistry, Dr. Marcovich enjoys traveling and cooking, as well as spending time chauffeuring her kids! 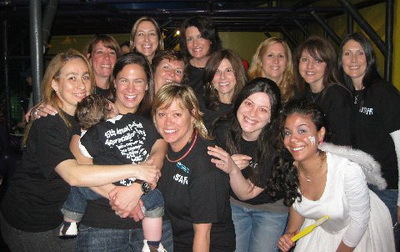 Dr. Michele Lau graduated from Caldwell College and attended Rutgers School of Dental Medicine in New Jersey. 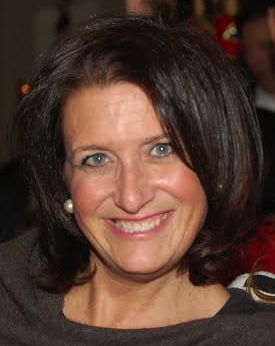 She completed a General Practice Residency at Montefiore Medical Center in New York City, an extensively comprehensive program performing advanced dental techniques in all areas of dentistry. After working several years as a general dentist, Dr. Michele then decided to pursue her aspirations of specializing in pediatric dentistry at University of Florida in Gainesville, FL. She is a Diplomat of the American Board of Pediatric Dentistry. Dr. Michele was once an orthodontic patient of Dr. Jon Golub. She also worked at his Fort Lee Orthodontic office during her high school years, which sparked her interest in dentistry! She loves to travel (anywhere warm with a beach!). She enjoys trying new foods, spending time with family & friends, and cherishing each moment with her son. Dr. Michele's middle name is Happy. Maybe that is why she has a smile on her face all the time!